Masters swimming is a program that incorporates conditioning, stroke technique, strength and endurance. Each workout is designed to improve swimming skills and provide the best physical exercise you can do for your body. 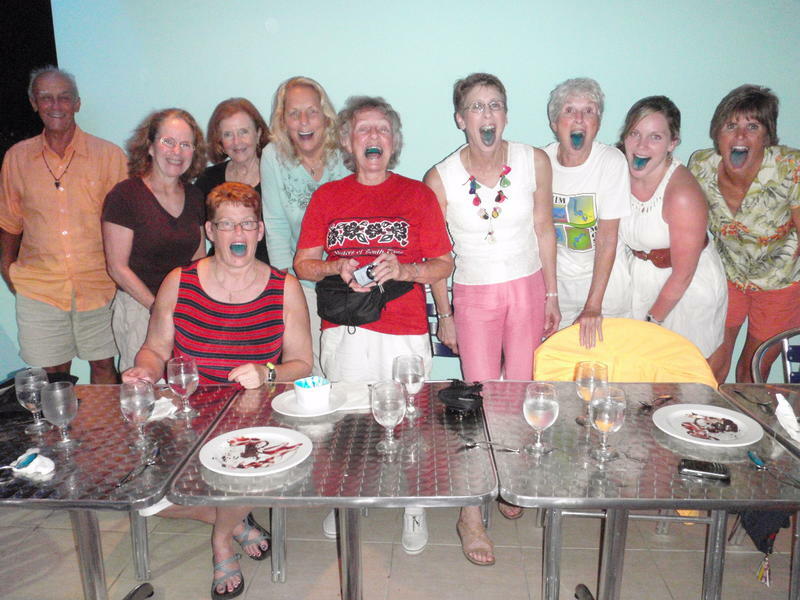 It is also a great social network in which to find friends who love the water as much as you do. Anyone who wants to swim. Current swimmers range in age from 18–91. You need not be a strong swimmer, or even have a desire to compete, in order to enjoy the benefits of working out in the water. Do you have to compete? 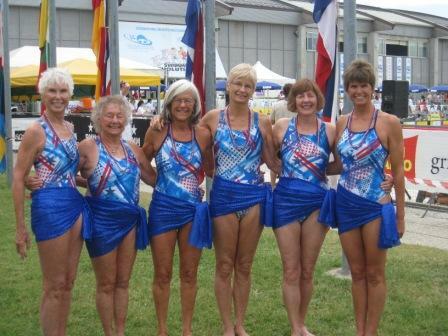 MOST has members who do compete in formal Masters swim competitions. Some members train in order to improve their swimming for triathlons. We also have members who workout for the simple pleasure of swimming. Over one-third of our swimmers have never competed nor have any plans to compete. You will quickly improve by just simply getting in the water and doing it. Every workout is adjusted for each swimmer’s ability level. Our program as one of the best and largest in South Texas. Members range in ability from beginners to World Record holders, and from former high school swimmers to internationally ranked triathletes. Susan is celebrating over 40 years of coaching and teaching swimmers. She was named the 2008 USMS Coach of the Year. She is an USMS Level III Certified Coach, and has trained several internationally ranked athletes and swimmers. She has earned a podium finish at each of the FINA World Championships and Pan American Championships that she has attended since 2007. Susan is also the USMS 2010 LCM National Champion in both the 50 and 100 Fly while competing in Puerto Rico. Susan has a long history of training open water athletes, as well as competing herself. She was the 2nd Female Overall at the 2009 Alcatraz Invitational and finished 4th place at the World Championships (3K) in both Italy and Canada. 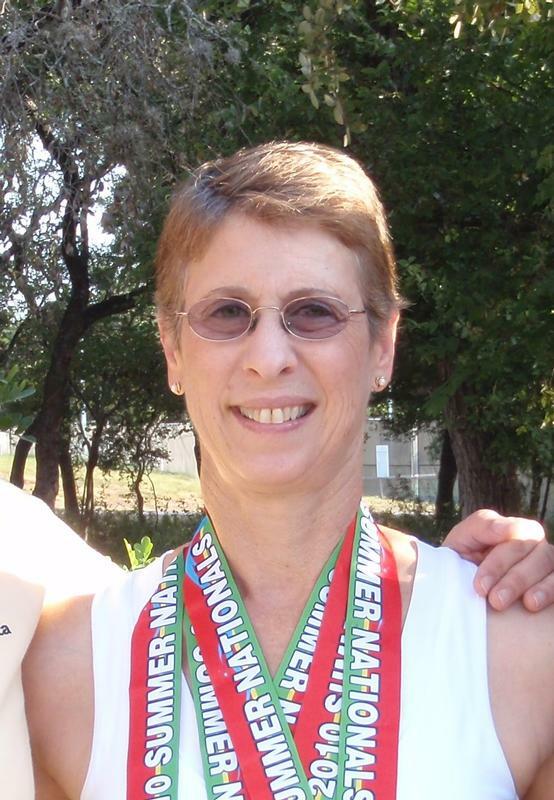 Susan, along with her assistant coaches, currently hold several National Postal Relay records, including 10 K Postal swims. In 2000, Susan was named the head swim coach for USA Modern Pentathlon National Team, which sent three athletes to the Olympics, including the Women’s Silver Medalist. Susan has three sons. Chase (36) competed in the 2010 CrossFit World Championships and owns his own gym in Dallas. Kyle (34) is the Offensive Coordinator at TLU, following a career as a Wide Reciever at Purdue. Colton (32) is a Civil Engineer and Two-time Alcatraz Invitational Champion. Corky, her husband of 38 years, is retired, enjoying traveling and the open water. Tiitta has been a MOST Team Coach for 13 years and is an USMS Level III Certified Coach and an Adult Learn to Swim Instructor. Tiitta has 25 + years of coaching experience which includes Age Group and Masters team coaching in Texas and Finland. Tiitta swam for Finnish National Team and and was Finland’s National Champion 1984-1988. She was selected for the European Championships and World Championships in 1985 and 1986. She attended University of Houston with a full swim scholarship 1989-1992 and graduated with Bachelor's degree in Kinesiology. Tiitta attended University of Texas - Pan American 1992-1995 and graduated with Masters in Exercise Science. While in Pan Am she was a teaching assistant for swimming and weight training and coached McAllen Swim Club age group swimmers. In 2010, she was recognized as a National Top Ten swimmer for USMS in both Free and Fly and has acheived that ranking serveral times since. Tiitta is married to Pancho, with two sons Panchito (21) and Tero (19). Elaine Valdez has been a Masters swimmer since 1980. She has been consistently in “Top Ten” and earned “All-American” (#1 ranking) 15 times in her Masters swimming career. In addition to her outstanding National rankings, Elaine has also been ranked as one of the Top Ten swimmers in the World numerous times. She is part of several relay teams that hold National Records from MOST in the Long Distance Postal events. 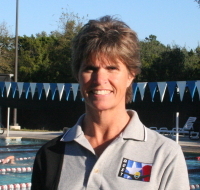 Elaine is a USMS Level III certified Masters Coach with over 18 years of experience coaching children and adults. She joined the MOST coaching staff in 2005. She is also a member of American Swimming Coaches Association (ASCA) and a Level II Certified ASCA Coach. In addition to her aquatic background, Elaine is a Certified Therapeutic Recreation Specialist. Please give us a call, Coach Susan (210-859-2859), who can answer any further questions you may have. Come and try your first workout at no charge. The JCC offers a special discount for prospective Master's Swimmers! Call 210-302-6866 to speak to the JCC membership director for more information. Call today and allow us to assist you in reaching both your personal fitness and swimming goals.